The Lighting Journal delivers information on all aspects of the lighting profession including technical coverage and development, new products and services, and professional news. Discover in the archive below some of the latest issues. Bright Lights, Big Cities: Why Lighting Professionals will make the difference to smart cities. 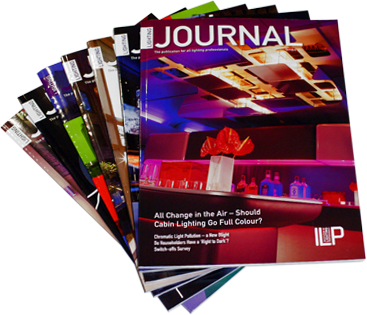 The Lighting Journal is a monthly magazine from the ILP, the most influential lighting association in the UK and Ireland. The Lighting Journal is distributed to diverse groups of lighting professionals, more specifically the lighting designer, lighting design consultant and design engineer. The Lighting Journal delivers information on all aspects of the lighting profession including technical coverage and development, new products and services, and professional news.